The Gears of War creator has reportedly launched the studio alongside Arjan Brussee, co-founder of Killzone studio Guerilla Games. Cliff Bleszinski got the video game community's attention earlier this summer when he announced his upcoming return to the industry. Today, documents obtained by Polygon indicate that his new studio is Boss Key Productions, which Bleszinski has co-founded along side Arjan Brussee, one of the founders of Killzone studio Guerilla Games. Both men also worked together on the Jazz Jackrabbit PC series, which debuted in 1994. Boss Key's certificate of authority names Bleszinski as the company's CEO and Brussee as the COO, with no other current officers, according to Polygon. A document filed with the U.S. Patent and Trademark Office on May 30 lists Boss Key's good and services as pertaining to "downloadable multi-player interactive computer game programs; computer and video game software; downloadable computer and video game software; downloadable electronic games via the Internet and wireless devices; downloadable computer application software in the field of games; interactive computer and video game programs," according to Polygon. While there has been no official word from Bleszinski yet as to his involvement with the studio, he did tweet a link to the Boss Key Productions twitter feed earlier today. The Boss Key website also contained a link to Bleszinski's Twitter feed earlier today, though that has since been removed, according to Polygon. The site can be found here, though there's currently nothing there except the company logo. Polygon also mentioned the Boss Key site earlier containing a link to the @bluestreak Twitter handle. 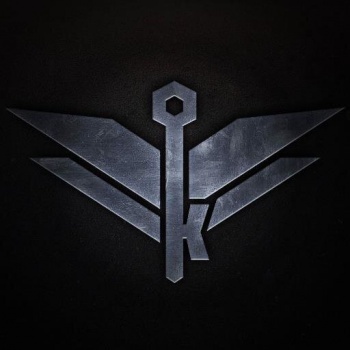 Bleszinski's next game is rumored to be "Project Bluestreak," the name of which also appears as the header of Boss Key's official Twitter page. Yesterday, Bleszinski tweeted a link to countdown timer, presumably counting down to the date when he will reveal more information of his new game. The countdown reaches zero on July 8.